When it comes to brands that I really have an affection for, there's usually one type of product in their line up that I'm always willing to try. Whether it's a brand that's really worked out for me with foundations, like Maybelline and CoverGirl, or a brand whose eyeshadow formula is top knotch, like Wet N Wild, as soon as a new product is released I'm absolutely willing to try it. 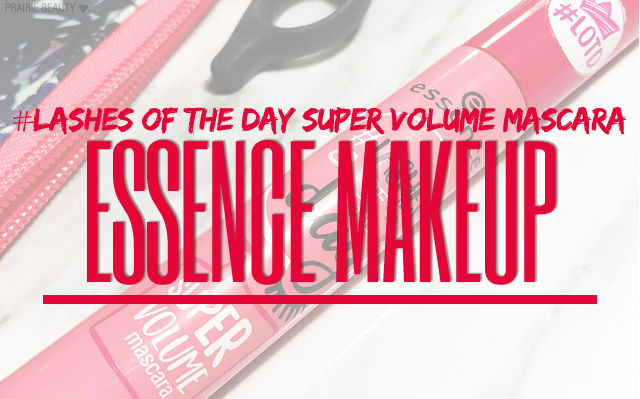 When it comes to essence, which is a brand I have a really strong affection for as a whole, that product is mascara. At the drugstore, there is no brand that does mascaras as well as essence, in my opinion. 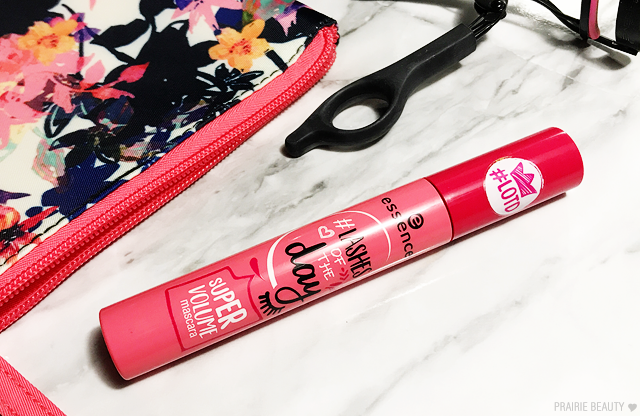 So, of course, when I was perusing my local Superstore and saw that new essence #LOTD Lashes Of The Day Super Volume Mascara, I was on board to try it out. Promising perfectly curled lashes with super volume, this mascara sounds about 100% up my alley. I have pretty small eyes for the size of my face with moderately sparse lashes that don't have much by way of natural curl, so I rely heavily on my trusty lash curler and a good mascara to really open up my eyes and make them look bigger. That being said, I can't handle a clumpy mascara, so I tend to have spotty luck when it comes to volumizing formulas, but still I've had such good luck in the past with essence mascaras that I had high hopes for this one. Formulawise, I have to admit taht this was a mascara that it took a couple of weeks for me to warm up to. This isn't at all uncommon for me, though, as I do like a drier formula on a mascara, particularly a volumizing one since they can easily skew towards clumpy if the formula is too wet. I did keep using this, though, and I think the effect wasn't bad for that first couple of weeks, but this really did start to shine for me after it had a little bit of time to thicken up and dry out. Don't get me wrong, this still isn't what I would consider a dry formula, it's just had that little bit of time to shift to the mascara sweet spot for me. As you can see, this mascara has a natural bristle brush with quite dense, tightly packed brush hairs and decently sized gaps between the rows. I actually think the design of this brush hits exactly the right notes for me. I tend to go for rubber bristled wands with good sized gaps because I find that they deposit a lot of product but also comb through and disperse it quite well as well. This brush actually does that as well, which surprised me. I find that using this brush, I get a good amount of product on the lashes and still get some separation for a really full lash look. 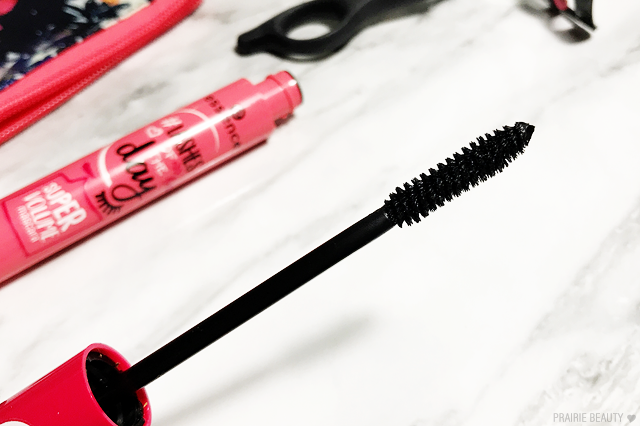 I feel like up close photos rarely give a good representation of what a mascara really looks like in real life on the lashes, but see the photos below to see what one coat of this mascara does. Now, there are a couple of downsides to this mascara, which ultimately will keep it out of being one of my favorite essence mascaras. First is that I definitely find that this flakes on me. 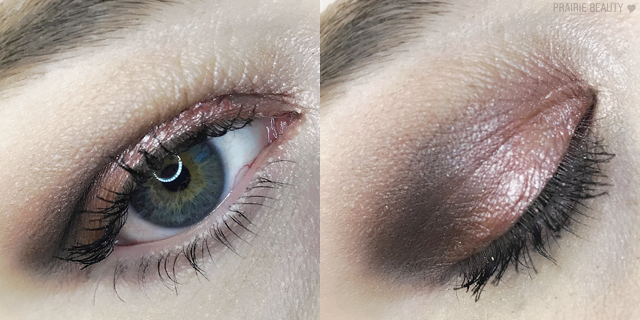 It isn't overly significant, but if I look close in the mirror (or particularly if I take close up pictures of my eye makeup), I do notice that there are tiny little flakes of product across my undereye. They easily swipe away with a fluffy makeup brush, so they're not causing a smudge problem, but flaking tends to be a dealbreaker for me. This also can get a little bit smudgey, although not without my rubbing against my eyes or something like that. Personally, though, I'm a big fan of waterproof mascara so I'm not usually all that careful to protect my mascara, so that's a downside of this mascara for me personally. Overall, I have to say that I really kind of feel two ways about the essence #LOTD Lashes Of The Day Mascara. 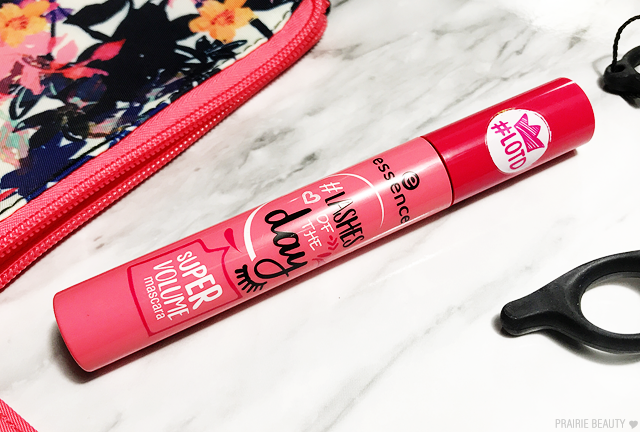 First, I definitely love the effect it gives my lashes, especially after a couple of weeks of use when the formula has gotten a little bit drier. I also really like the brush, which I feel has sort of the best of bold worlds between a traditional bristle brush and a rubber brush. 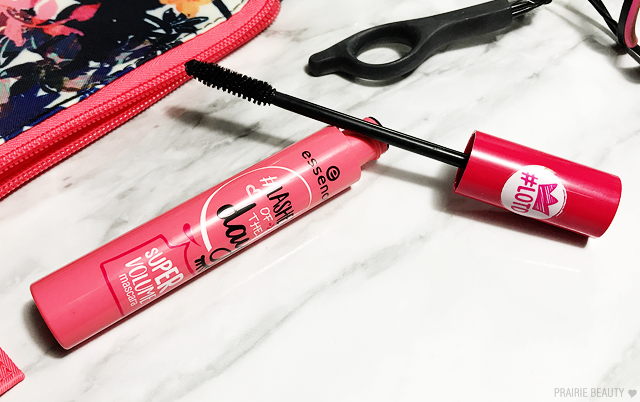 Unfortunately, this did have minor flaking and smudging on me and there are just other essence mascaras that do it better for my personal needs. If you're in the market for a new drugstore mascaram ny personal recommendations are the essence Volume Stylist 18hr Lash Extension Mascara or the essence Lash Princess False Lash Mascara!